At 10/1 are two Gauteng-based horses – Abashiri and Majestic Mambo. Abashiri will be ridden by Piere Strydom, looking for his fifth July win. 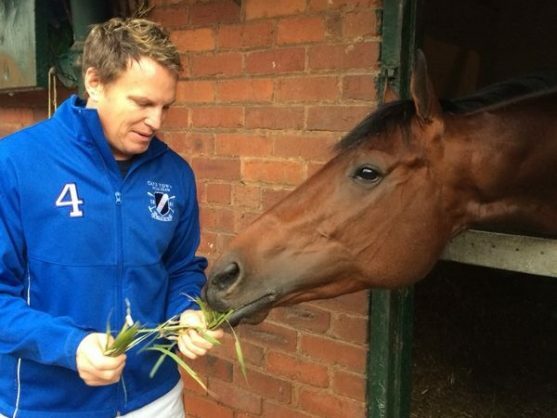 Justin Snaith trains five of the 18 runners in Saturday’s R4.25 million Vodacom Durban July and four of them are among the top seven on bookmakers’ boards. Favourite for the Grade 1 race over 2 200m at Greyville Racecourse is Snaith-trained African Night Sky. Betting World have him at odds of 22/10. He will be ridden by Grant van Niekerk, who is one of the most improved jockeys in the country. Second favourite at 6/1 is Do It Again with Made To Conquer and White River at 9/1. Do It Again and Made To Conquer are trained by Snaith and will be ridden by Anton Marcus and Jeff Lloyd respectively. At 12/1 is Exquisite Touch, the fourth of the Snaith runners, with Bernard Fayd’Herbe up. The rider won the race last year aboard Marinaresco. The fifth Snaith runner is Star Express, at 40/1, one of the biggest outsiders in the field. Many regard Justin’s brother Jonathan as the stable strategist and he commented that African Night Sky deserved his position as the race favourite. “At the weights, African Night Sky is a worthy favourite. His preparation has been flawless,” he told Gold Circle journalists. He rated the other three capable of pulling off the win and said: “Star Express has great form but there are stamina doubts. At 10/1 are two Gauteng-based horses – Abashiri and Majestic Mambo. Abashiri will be ridden by Piere Strydom who will be looking for his fifth win in this race. Strydom won previously on London News (1996), Trademark (2001), Pomodoro (2012) and The Conglomerate (2015). Majestic Mambo will be running in new colours as Mary Slack has bought a share in the horse, who will be off to Dubai after this race to join the Mike de Kock string .